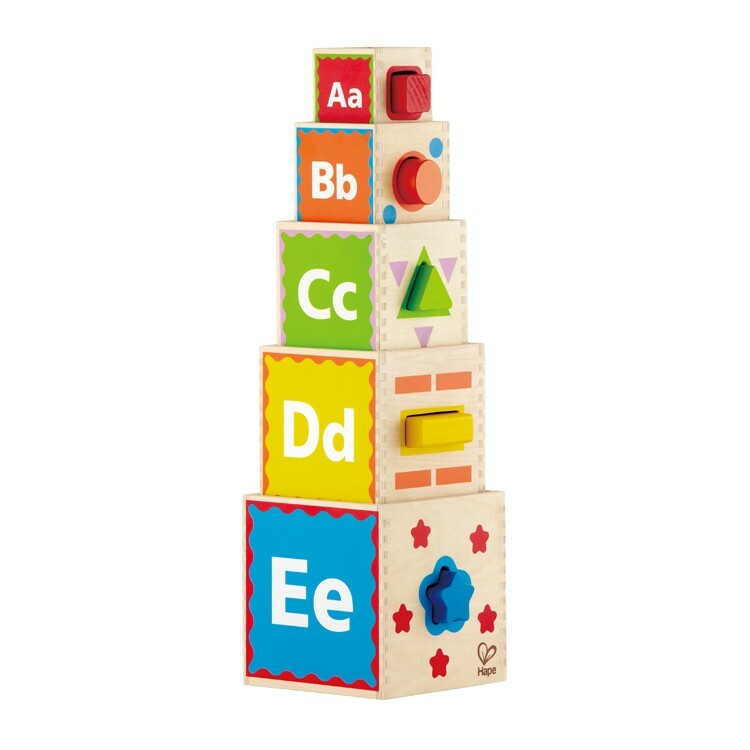 Nesting & stacking blocks, first shape sorter, early math learning set, and building blocks - all in one Pyramid of Play toy for tots. 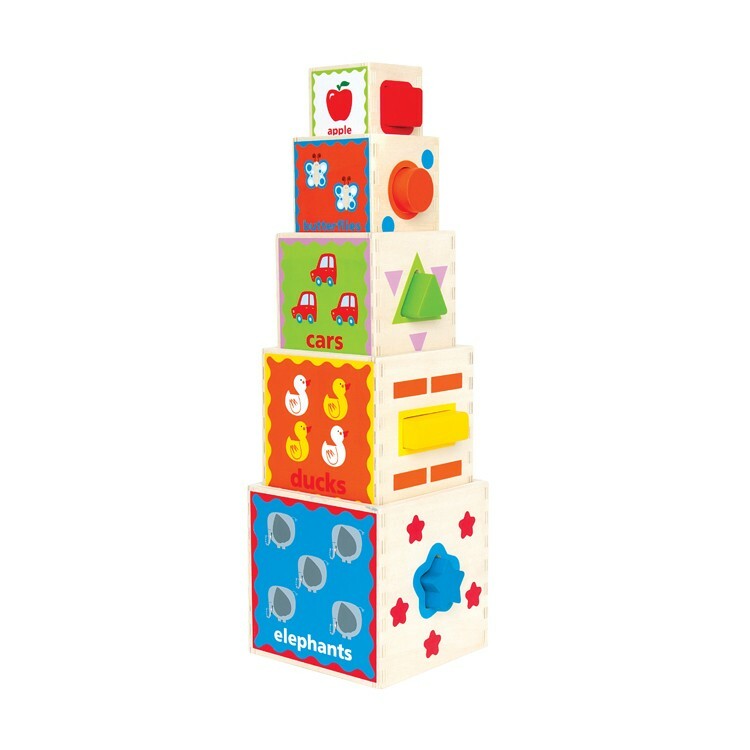 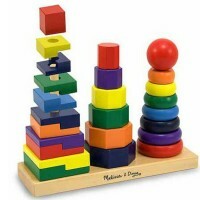 Build your own pyramid of learning with this colorful set of stacking blocks for tots. Pyramid of Play Shape Sorting Wooden Blocks Set contains 10 play pieces to develop your toddler's manual dexterity and thinking skills. 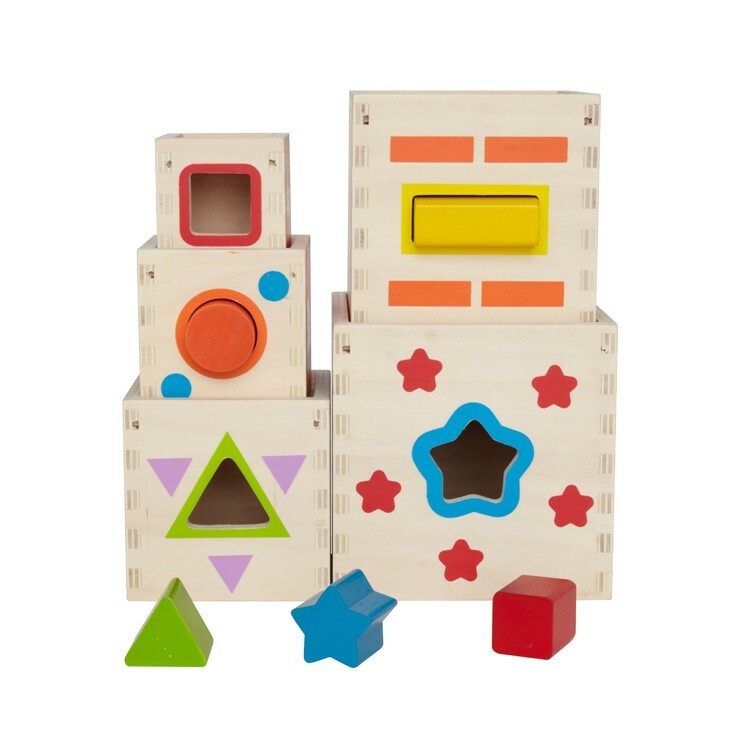 This manipulative activity toy is a set of 5 nesting and stacking blocks, first shape sorter, early math learning set, and building blocks playset - all in one box. 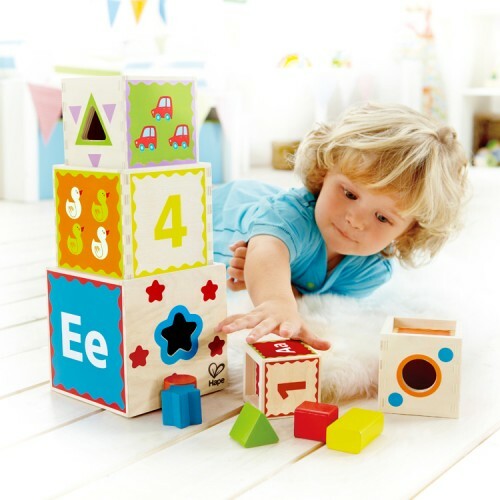 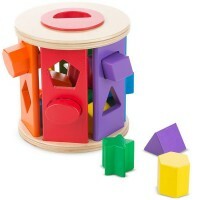 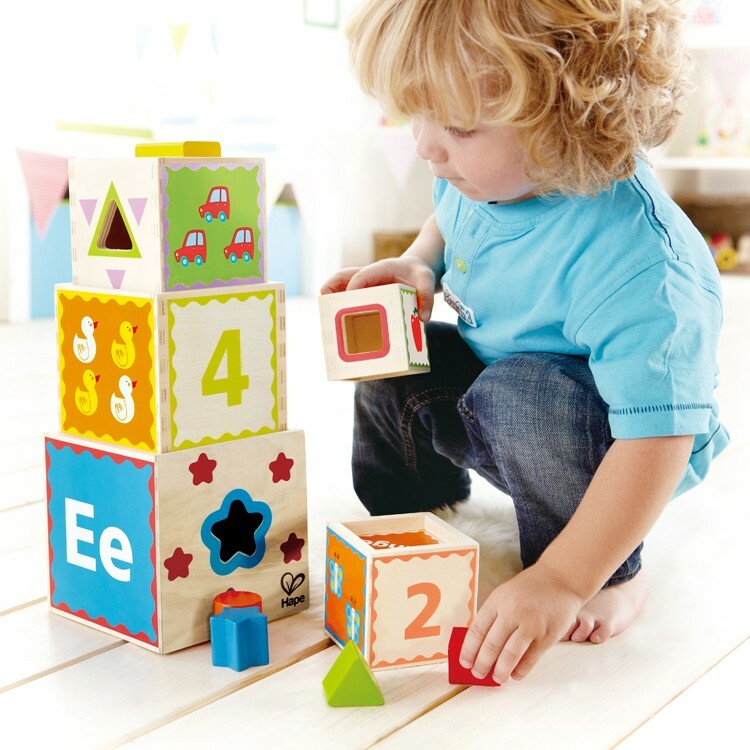 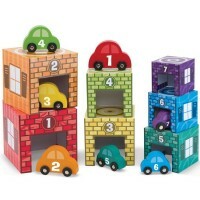 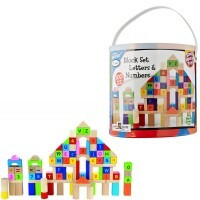 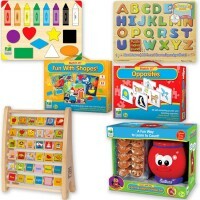 Each wooden block features 5 learning sides: letters, numbers, pictures, shapes, and colors. 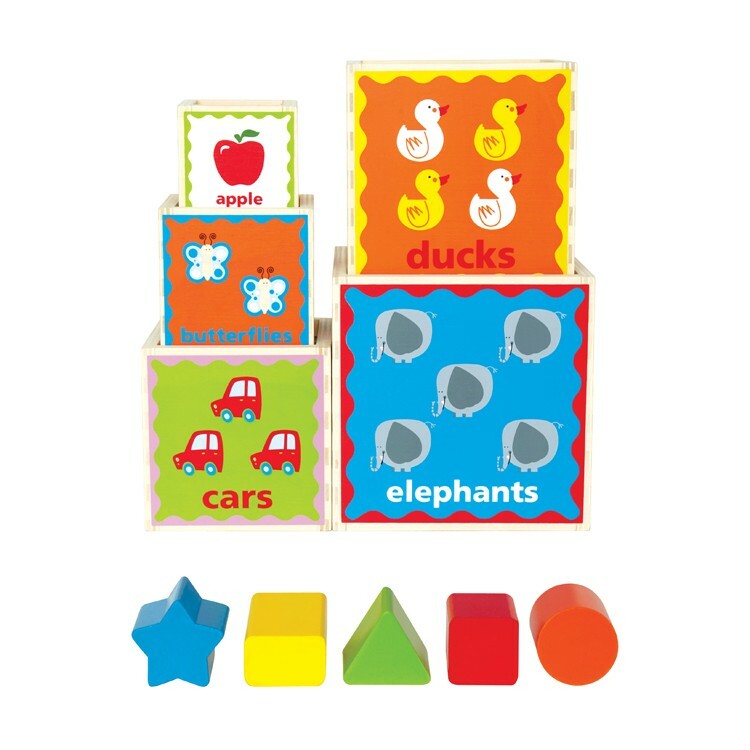 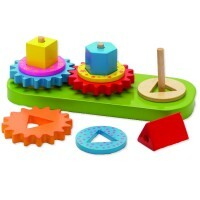 Sort the 5 basic geometric shapes, match their colors to the shape sorting slots, build block tower, nest the blocks by sizes, learn first words, count animals and do other fun developmental activities with the Pyramid of Play Shape Sorting Wooden Blocks Set. 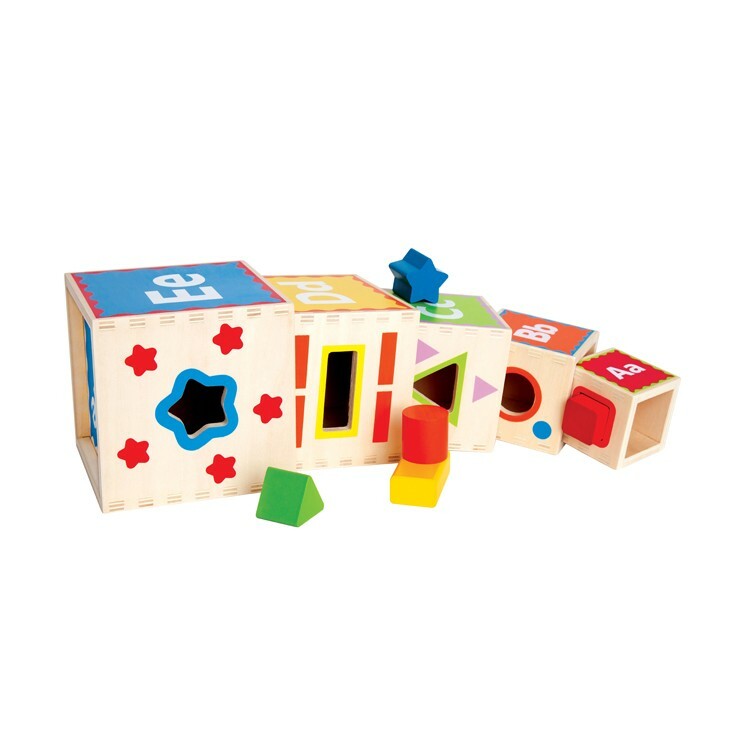 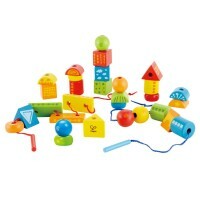 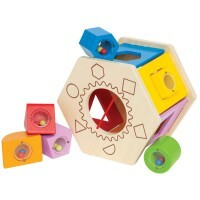 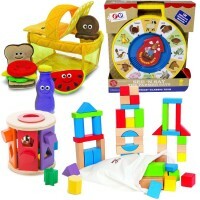 This first nesting blocks set from Educational Toys Planet meets and exceeds all US toy safety standards. 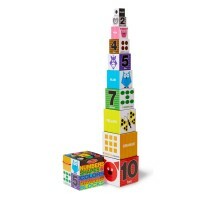 Dimensions of package 5.5" x 5.5" x 18.5"
Write your own review of Pyramid of Play Shape Sorting Wooden Blocks Set.